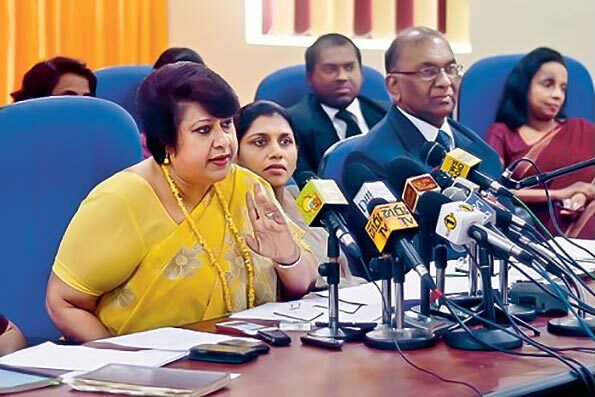 The Commission to Investigate Allegations of Bribery or Corruption has launched a special investigation into the Avant Garde private security firm as the Commission has received a complaint against it, Commission to Investigate Allegations of Bribery or Corruption Director General, President’s Counsel Dilrukshi Dias Wickramasinghe said. The Director General was addressing a press briefing at the Commission yesterday. The Commission’s inquiry is based on the Attorney General’s observation that action could be taken against the company over charges of bribery and money laundering. However, the Director General noted that more information about the Avant Guard inquiry could not be released to the media at this point due to the confidential nature of the investigations. Wickramasinghe said the 50 police officers, who were absorbed recently to the Commission, commenced investigations from yesterday. Meanwhile Avant Garde Security Services (Pvt) Ltd sources said that the security firm would be wound up from December 1, 2015. Avant Garde up for sale. Grab it you guys, of the Green Elephant clan.